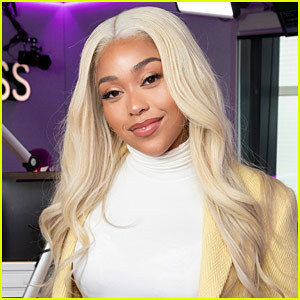 Jordyn Woods glitters in a gold mini dress while enjoying a night out! The 21-year-old model was spotted visiting Sushisamba with her mom Elizabeth on Monday (March 25) in London, England. She flashed a smile as she made her way inside. Kylie Jenner & Jaden Smith Attend Launch of Jordyn Woods' SECNDNTURE Line!